Infection is a leading cause of death after liver transplantation (LT). Therefore, prevention of infection is crucial for improving outcomes after LT. We examined the impact of early enteral nutrition with an immunomodulating diet (IMD) enriched with hydrolyzed whey peptide (HWP) formulation on infection after living donor LT (LDLT), focusing on sarcopenia. This study enrolled 279 consecutive patients who underwent primary LDLT at our institute between January 2008 and April 2015. Early enteral nutrition with the IMD enriched with HWP formulation and a conventional elemental diet were started within the first 24 h after surgery for 164 (IMD-HWP) and 115 (conventional) patients. Sequential changes in nutritional parameters, and the incidences of acute cellular rejection (ACR) and bacteremia were compared between the IMD-HWP and control groups. The comparison was made between those members of each group that did or did not exhibit sarcopenia. Risk factors for post-transplant bacteremia were also assessed. Postoperative nutritional parameters and the incidence of ACR were comparable between the groups, except for the prealbumin level. The incidence of bacteremia was significantly lower in the IMD-HWP group, and among patients without sarcopenia in the IMD-HWP group compared with the conventional group (24.4 vs. 41.7%; P = 0.002 and 20.8 vs. 39.0%; P = 0.040, respectively). Independent risk factor for bacteremia comprised bleeding ≥10,000 mL (P = 0.025). In contrast, enteral nutrition without HWP formulation was not significantly associated with bacteremia. However, enteral nutrition without HWP formulation (P = 0.080), MELD scores (P = 0.097), and ABO incompatibility (P = 0.088) showed a trend toward increased incidence of bacteremia, although they did not reach statistical significance in the multivariate analysis. 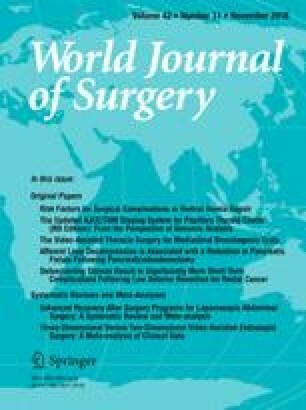 Postoperative immunonutrition with an IMD enriched with HWP formulation was closely involved with post-transplant bacteremia. The authors would like to thank Ms. Mayumi Kawashima for her help with collecting the data for this study and Dr. Amr Badawy for English editing. None of the authors have any conflicts of interest and any grants to declare.